My husband calls me Storm Center. As in, "Hey Storm Center, did you buy water and batteries?" I have been known to drive to Portland for a shopping trip and when I got down there all the stores had big X's taping up their glass windows because a hurricane was on its way. True story (before kids). Before the Great Ice Storm of 1998, my husband told me to gather supplies. I underestimated the impact of that storm, and bought a few gallons of water, sandwich meat, and....er....cupcakes. 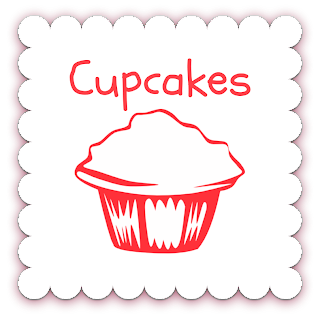 In case you are wondering, CUPCAKES are not on the storm preparation list provided by the Red Cross. So now, when a storm is coming. I buy batteries if we need them, and gallons of water, and food that is easy to eat if you have no power. This storm is supposed to be bigger than the Blizzard of '78. Out of long military habits, we keep MRE's on hand as well. They taste awful, but they keep forever, and require no power to prepare. Be safe and stay warm! After all the necessities I think cupcakes should still be on the list! Be safe and hoping you are warm and cozy this weekend!